After some Winter cleaning, Google announced the immediate discontinuation of Google Sync and Google Calendar Sync. These applications were designed to synchronize Gmail accounts with Outlook, various devices and other software via Microsoft's Exchange ActiveSync (EAS) protocol. Popular alternatives to Exchange ActiveSync, like IMAP and POP, give users access to email but do not provide the same rich synchronicity that EAS affords. The technology also allows users and devices to syncs contacts, notes and calendars under a single protocol. In addition to removing its EAS connector utilities, Google will be restricting EAS access exclusively to paid Google Apps accounts -- if you want to connect via the Exchange protocol, you'll need to pay up for a premium account. This means Google Apps business, education and government customers will be unaffected by this change -- an area where exchange support remains vital. 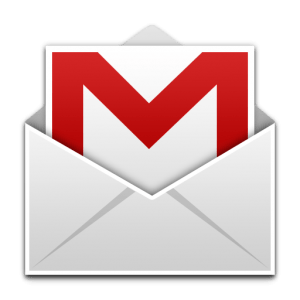 The changes only apply to personal Gmail accounts and free Google Apps accounts. Incidentally, this news follows Google's evisceration of the freebie version of Google Apps, also announced earlier this month. The search giant says it's dropping EAS in favor of open protocols, namely CardDAV (contacts sync) and CalDAV (calendar sync). Since these protocols are independent of popular e-mail protocols (IMAP, POP), Google suggests Gmailers interested in keeping their contact and calendars synchronized will need to turn to third-party solutions which support those technologies. While it is no surprise Outlook users will be affected, any Gmail users who employ EAS to sync their smartphones, tablets or rely on third-party services or software which utilize EAS will also feel the effects. Perhaps unsurprisingly, Microsoft has taken this opportunity to push its Outlook web-based email service (formerly known as Hotmail) which, of course, supports Exchange ActiveSync. Microsoft claims it was "very surprised" by Google's maneuver and took its blog swinging, touting the supposed advantages of EAS over IMAP and POP. "Really want to do some winter cleaning? Switch to Outlook.com for the best email experience across all your devices" the post says.